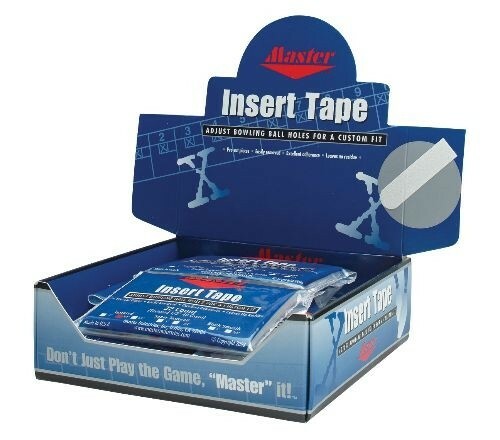 Master Insert Tape 1/2" White Textured-12 Pk. This tape is pre-cut and ready for use. It will stick very well and stay where you need it to. It is also easy to remove once you are done.It will leave no sticky residue and has a texture to it. Due to the time it takes to produce the Master Insert Tape 1/2" White Textured-12 Pk. ball it will ship in immediately. We cannot ship this ball outside the United States.